Warranty: Limited Warranty against manufacturing defects. Replacement at no charge with submission of valid warranty claim. Delta Blinds Supply Valance Clips for Window Blind Valance - 4 different sizes! - 6 Pack, 12 Pack, 24 Pack!! We have a variety of valance clips for different sized valances! These clips are meant to attach to your valance and then clasp over onto the metal headrail that's located on the top of your blind. You need to use at least 2 valance clips per valance. 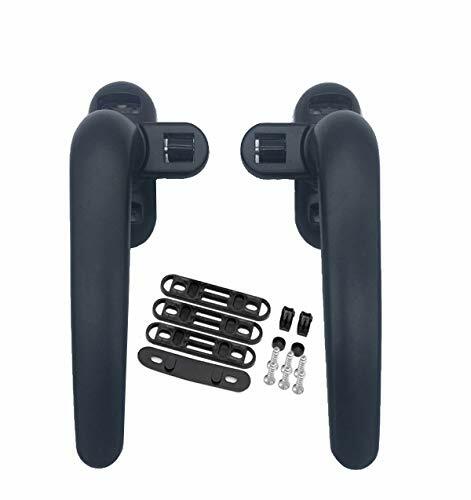 For instance if you have 3 valances that are less than 32" wide each and that are loosely hanging off your blind, you will need a total of 6 individual valance clips to replace the ones you currently have. Luckily, we sell packs of 6 valance clips! We also carry packs that contain 12 and 24 clips! RECOMMENDED: USE 2 VALANCE CLIPS PER VALANCE THAT IS 32" WIDE OR LESS. USE 3 VALANCE CLIPS PER VALANCE THAT IS 33" TO 48" WIDE. USE 4 VALANCE CLIPS PER VALANCE THAT IS 49" TO 64" WIDE. USE 5 VALANCE CLIPS PER VALANCE THAT IS 65" TO 80" WIDE. 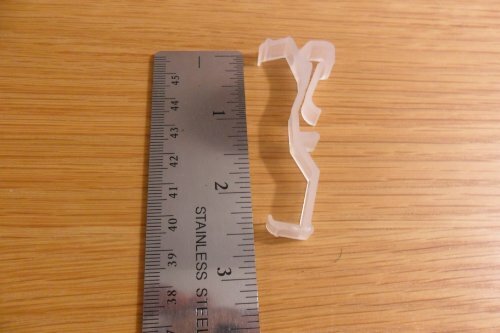 We have 4 different sizes of valance clips. Lengths are: 2.5," 3.0," 3.25," and 3.5"
You can also purchase certain sizes in packs of: 6, 12, and 24! Tip: Measure your valance from top to bottom with a ruler. This will be the size clip you will need. Recommended: 2 valance clips per valance that is 32 wide or less. 3 valance clips per valance that is 33 - 48 wide. 4 valance clips per valance that is 49 - 64 wide. 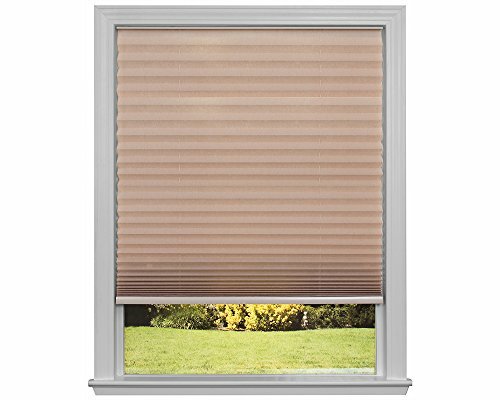 Click on the link Delta Blinds Supply to view more items! The curtain hook is approx. 3 cm in height and 2.4 cm in width, strong and rustless; Package includes 58 pack metal curtain hooks, enough to meet your needs. 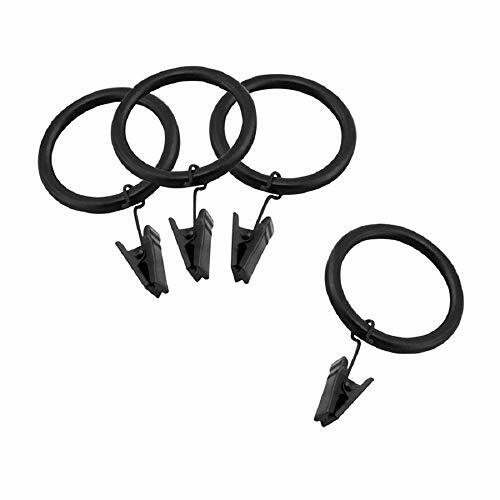 These pleat curtain hooks can be applied on curtains that have a heading tape, curtain tracks that use gliders with loops and curtain pole rings that have loops. With sharp pins on the straight bit, easy for you to push through the fabric, convenient to use; Actually stay on the curtain rail when you pull them open and closed. These pinch pleat curtain hooks support curtain in a good position; The hook does need squeezing the ends together to keep the curtain upright. Curtain track gliders are applied to hang your curtains onto the curtain track by using curtain hooks. The gliders will move freely through the curtain track, enabling you to open and close your curtains. The gliders can normally be clicked easily onto a curtain track, usually without having to take the curtain track down. Once you have added your gliders, then you are ready to hang your curtains by using curtain hooks. Once you have the curtain hooks in place on your curtain feed each hook through the gliders. With sharp pins, please watch your fingers when you slightly open the pin curtain hook in case of pricking. Please keep them away from children. 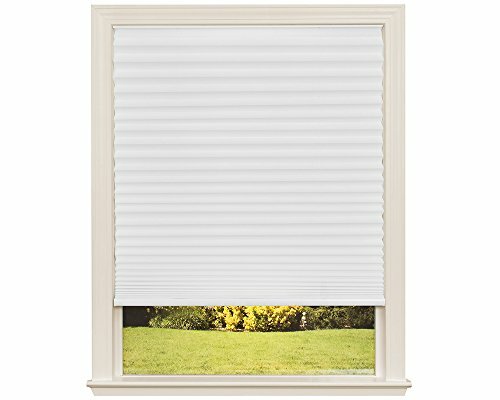 Easy Lift Trim-at-Home Cordless Shades by Redi Shade offer the look and fit of custom pleated shades at a fraction of the cost. Trim at home for a perfect fit with a kitchen knife and included trimming scale and guide. Peel and place adhesive application provides permanent installation that is effortless no drill, screws, or brackets required. Easy Lift shades come standard with cordless lift for ease of use and child safety. Soft spun lace fabric gently filters light, providing partial privacy and UV protection. Designed in California by Redi Shade, Easy Lift shades come with a 100% Satisfaction Guarantee. If you aren t happy with your shades, please let us know we will run through a brick wall to make things right. Contact Redi Shade if you need help or have questions 1-888-608-6611 or customersupport@redishade.com. 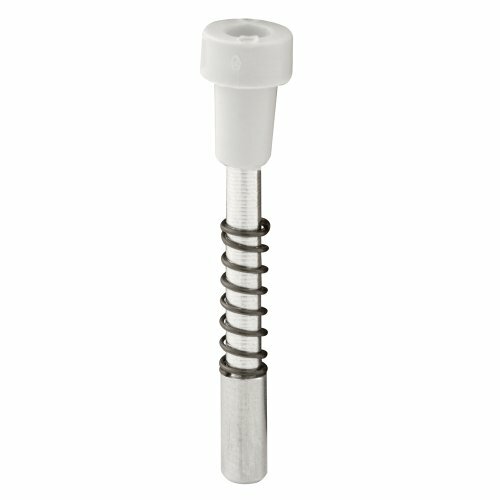 These plunger latches are constructed of aluminum pins, steel springs and plastic snap-on caps. 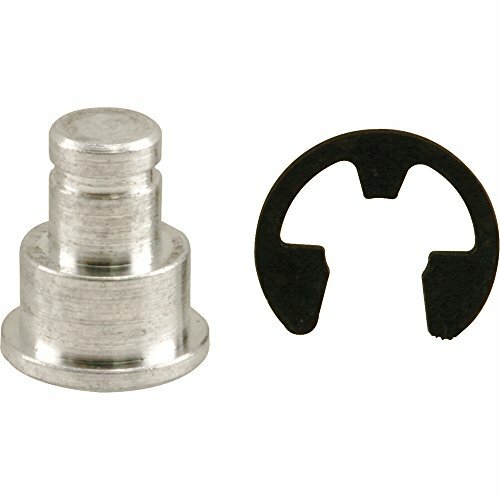 The caps are white in color and the pins come in a milled aluminum finish. 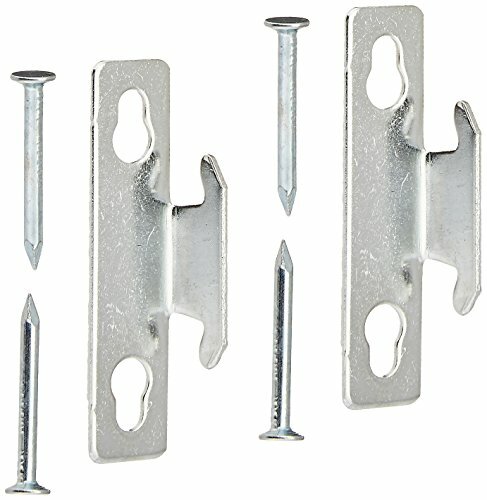 These spring-loaded plunger latches are designed to lock in aluminum-framed window screens into window channels and they are very simple to install. The bolt end of the pins measures 5/32 inches in diameter x 3/8 inches in length. The overall height of the pin extends 1-15/32 in. long and the main shaft has a 1/8 in. diameter. 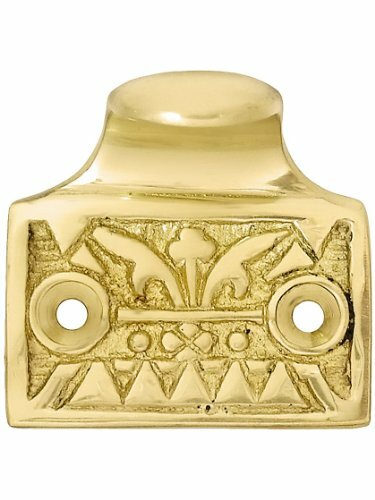 These spring-loaded plunger latches are used by many window manufacturers. 5/32 in. x 1-1/2 in. 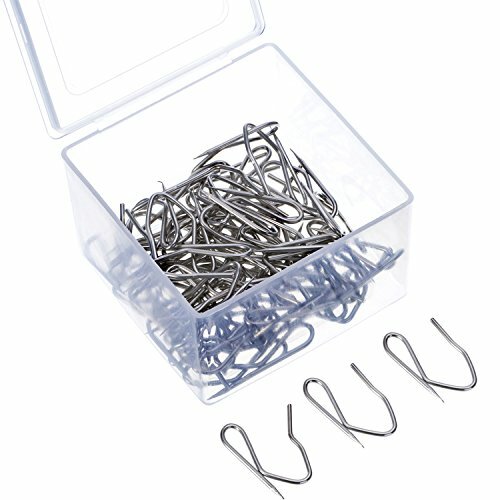 Each pack comes with 14 hooks. 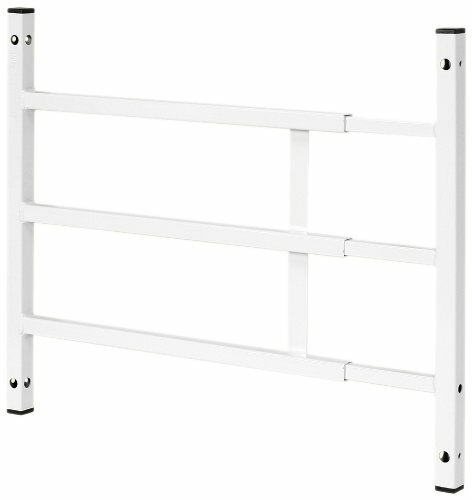 This window guard is constructed of .048 thick, plain carbon steel square tubing and comes in a white painted finish. 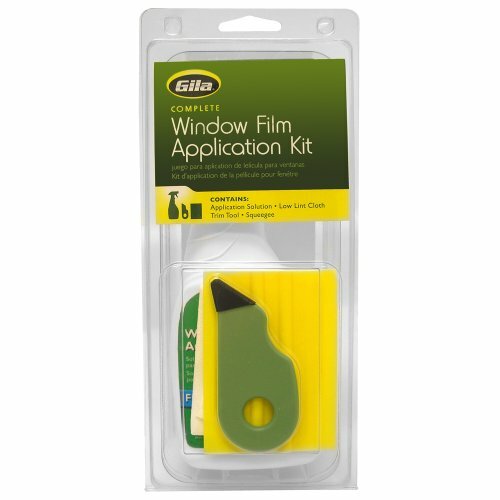 Note: This is a fixed window guard, meaning that once it s been installed it cannot be opened nor easily removed in the event of an emergency where entry or exit through the window would be required. For this reason, THIS FIXED WINDOW GUARD SHOULD NOT BE USED IN BEDROOMS OR SLEEPING QUARTERS WHERE NO OTHER EMERGENCY EXIT WINDOW OR DOOR IS ACCESSIBLE. For windows requiring emergency access capabilities, please use appropriate hinged version of these window guards, like Prime-Line s model number S-4779. This child fall window guard is non-operational and it is designed for interior use only. The intended purpose of this guard is to assist in preventing children from accidental falls through open windows. This window guard features a fully adjustable telescoping width (prior to mounting), and it comes complete with one-way, tamper-proof installation screws. This child fall window guard meets New York City and New Jersey s housing codes, and it was approved by the New York City Department of Health and Mental Hygiene, HDWG #04-09-2010, but it does not meet egress. The wallcovering smoothing tool is great for smoothing out creases and bubbles. It's also used as a ruler when trimming at ceiling, woodwork or baseboard straightly with a knife. The lightweight aluminum handle allows for a more comfortable grip. 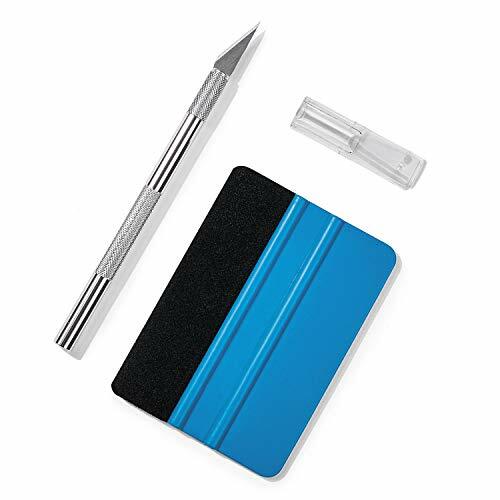 It fits in your hand like a pen, allowing you to hold it safely for optimal control and making agile cuts with ease. It also provides the opportunity for detailing that you want for all types of projects. An easy-change blade system lets you quickly swap blades according to your various needs. Keep out of the reach of children in case that the knife may hurt them. 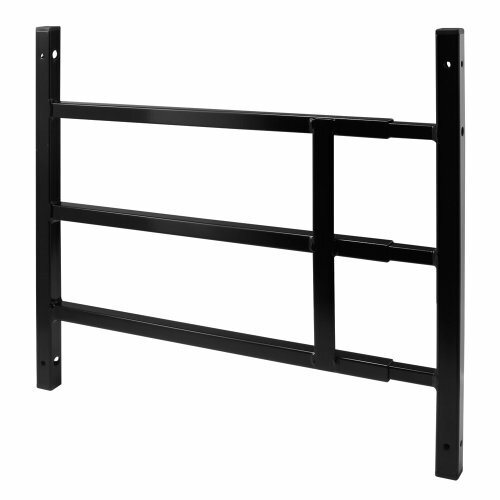 This window guard is constructed of .048 thick, plain carbon steel square tubing and comes in a black painted finish. Note: This is a fixed window guard, meaning that once it s been installed it cannot be opened nor easily removed in the event of an emergency where entry or exit through the window would be required. For this reason, THIS FIXED WINDOW GUARD SHOULD NOT BE USED IN BEDROOMS OR SLEEPING QUARTERS WHERE NO OTHER EMERGENCY EXIT WINDOW OR DOOR IS ACCESSIBLE. For windows requiring emergency access capabilities, please use appropriate hinged version of these window guards, like Prime-Line s model number S-4779. This child fall window guard is non-operational and it is designed for interior use only. The intended purpose of this guard is to assist in preventing children from accidental falls through open windows. This window guard features a fully adjustable telescoping width (prior to mounting), and it comes complete with one-way, tamper-proof installation screws. This child fall window guard meets New York City and New Jersey s housing codes, and it was approved by the New York City Department of Health and Mental Hygiene, HDWG #04-09-2010, but it does not meet egress. 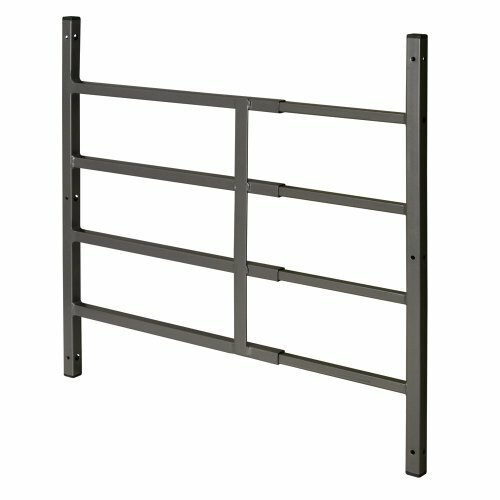 This window guard is constructed of .048 thick, plain carbon steel square tubing and comes in a bronze painted finish. Note: This is a fixed window guard, meaning that once it s been installed it cannot be opened nor easily removed in the event of an emergency where entry or exit through the window would be required. For this reason, THIS FIXED WINDOW GUARD SHOULD NOT BE USED IN BEDROOMS OR SLEEPING QUARTERS WHERE NO OTHER EMERGENCY EXIT WINDOW OR DOOR IS ACCESSIBLE. For windows requiring emergency access capabilities, please use appropriate hinged version of these window guards, like Prime-Line s model number S-4779. This child fall window guard is non-operational and it is designed for interior use only. The intended purpose of this guard is to assist in preventing children from accidental falls through open windows. This window guard features a fully adjustable telescoping width (prior to mounting), and it comes complete with one-way, tamper-proof installation screws. This child fall window guard meets New York City and New Jersey s housing codes, and it was approved by the New York City Department of Health and Mental Hygiene, HDWG #04-09-2010, but it does not meet egress. Easy to install. Put the clips on the blind headrail and snap the valance on. This link pin is constructed from aluminum. 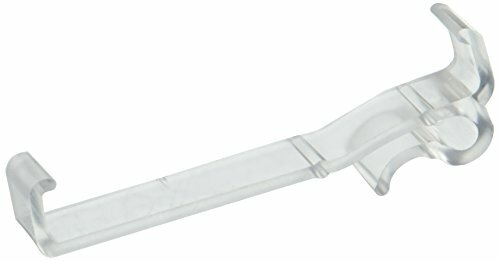 It features a grooved design and includes E-clips for secure attachment. 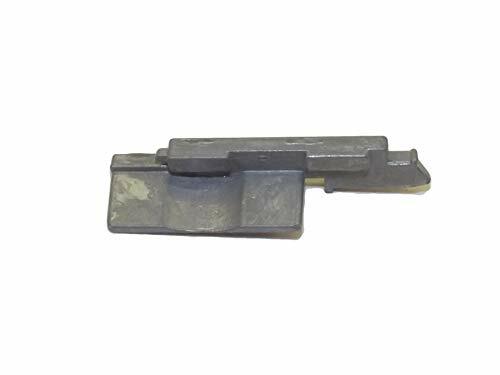 This pin is used to connect the end of your operator to a jalousie or awning window. 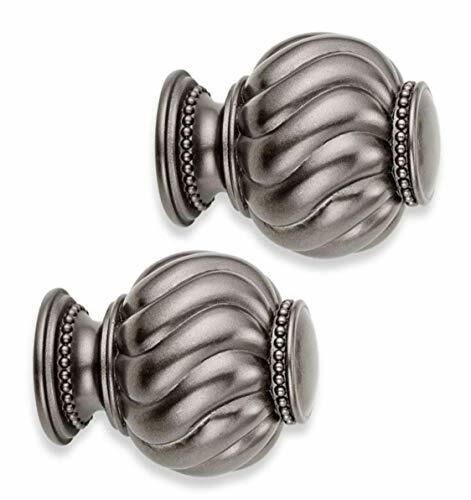 Modern yet timeless is the hallmark of the Classic Complete Decorative Window Curtain Hardware from Cambria. 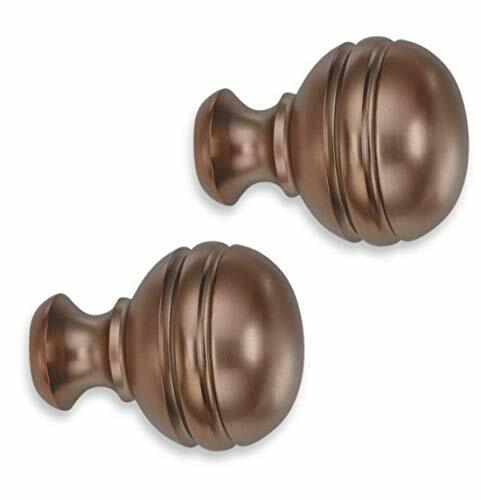 Premium quality metal components have a rich, hand-brushed oil rubbed bronze finish for a sophisticated look. 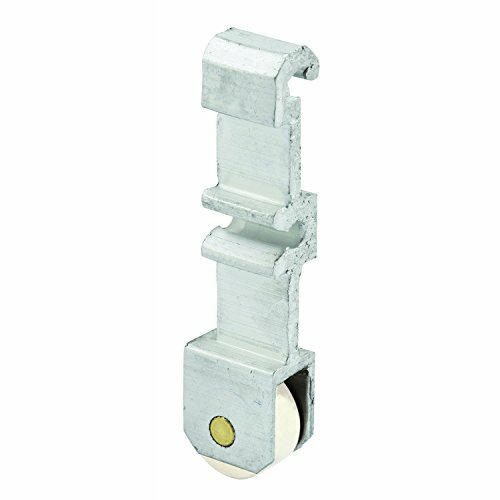 These roller assemblies are constructed of an extruded aluminum bracket and a plastic wheel. They are designed for use on horizontal sliding windows constructed with dual glazed, insulated glass. The wheel features a flat edge, and the assembly fits windows manufactured by international. Crisp and geometric Eastlake patterns have a timeless appeal. Dating from the 1880s, this hook style sash lift is suited to period or modern interiors. Reproduced in heavy duty cast brass with a lacquered finish. Dimensions: 2" W x 1 5/8" H x 13/16" P.
Brand: House of Antique Hardware, Inc. | Manufacturer: House of Antique Hardware, Inc. These spiral balances are constructed of round metal tubes which house the steel spiral rods. 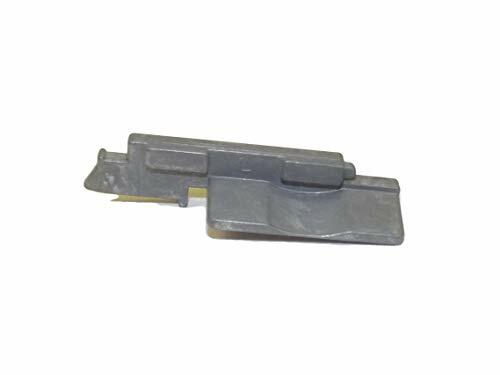 Use these replacement spiral balances for the repair of non-tilting window sash. With its beveled edge and oval insert, this simple design works equally well with Craftsman or Modern interiors. The low profile is great for windows with blinds or shutters. 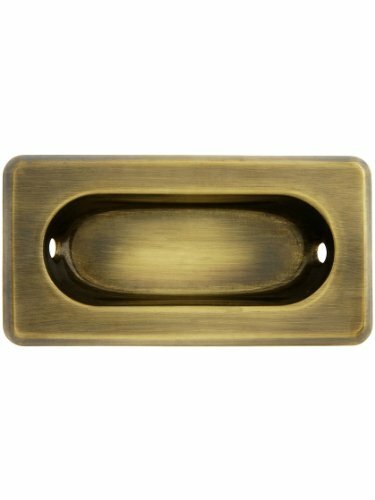 Made of stamped brass with our living antique finish. Overall Dimensions: 3 1/8" W x 1 5/8" H x 1/8" P. Inset Portion: 2 3/8" W x 7/8" H x 7/16" D.
LH Window tab used on many types of windows. Please check pictures for measurement. RH Window tab used on many types of windows. Please check pictures for measurement.